Sent directly to you via email, there is no logging-in or forgotten passwords! 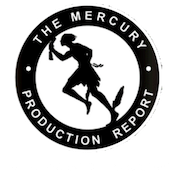 We email you a work friendly report each week that can be printed immediately for hard copy review providing you with a ready-to-use, easy-to-read, list of productions to contact. Don’t waste time and money with other service that take hours on the internet loading, viewing and writing listings down. We email you a work friendly report that can be printed immediately for hard copy review.